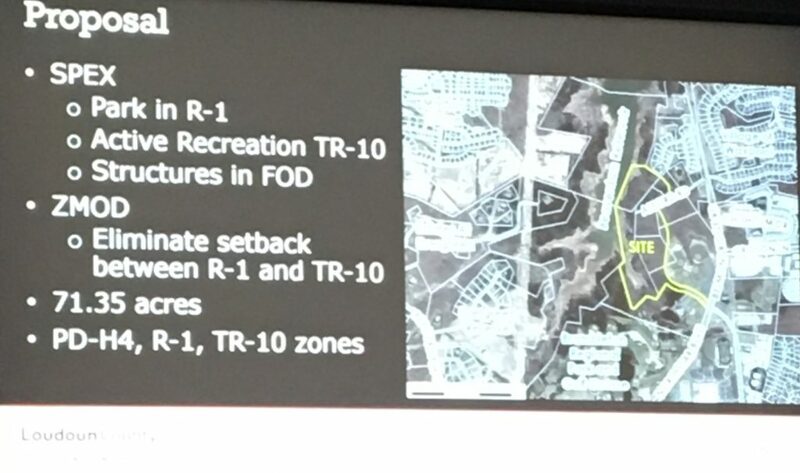 On March 26th the Loudoun County Planning Commission approved NoVA Parks and Loudoun Waters Plan for the Beaverdam Park. There was a large crowd and the meeting ran past 10pm. Concerns over boathouse location and county liability brought a good amount of discussion. Due to zoning, the boat house’s location is approx 600 feet from the water. 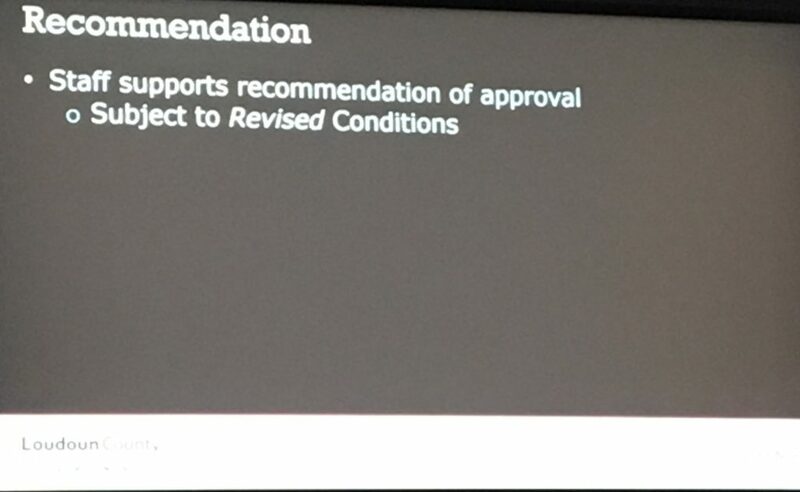 A solution of dollies/carts was given and the commission approved the project with a vote of 8 to 1. 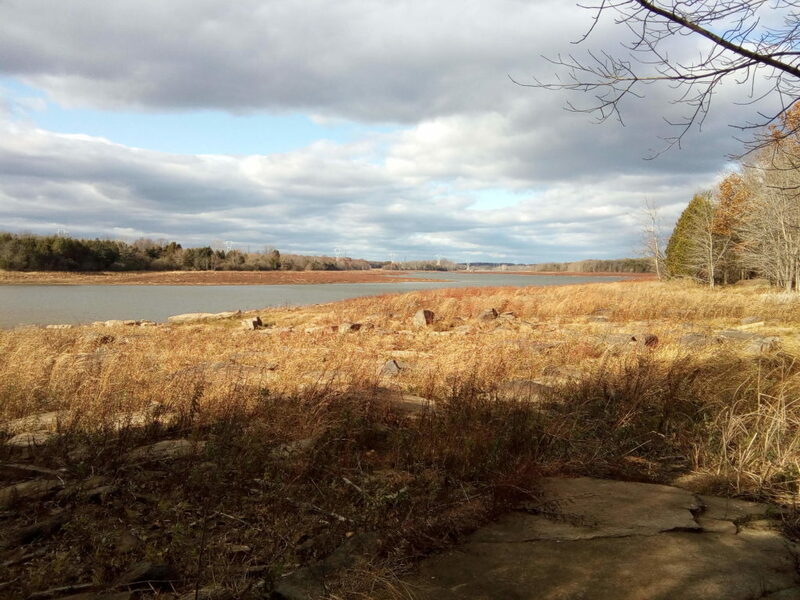 With the Beaverdam spillway renovation project nearing completion, Loudoun Water and NOVA Parks expect to allow recreational activities on the water at Beaverdam Reservoir this summer. However, the exact timeframe for re-opening is unclear at this point due to construction delays. Record-setting rainfall over the last year has impacted the original schedule. The dam embankment needs to be completed prior to refilling the reservoir, and presently the fill material at the site that will be used to construct the embankment is too wet to place and compact. We are hopeful that weather conditions improve to help dry the material so it can be used for construction. 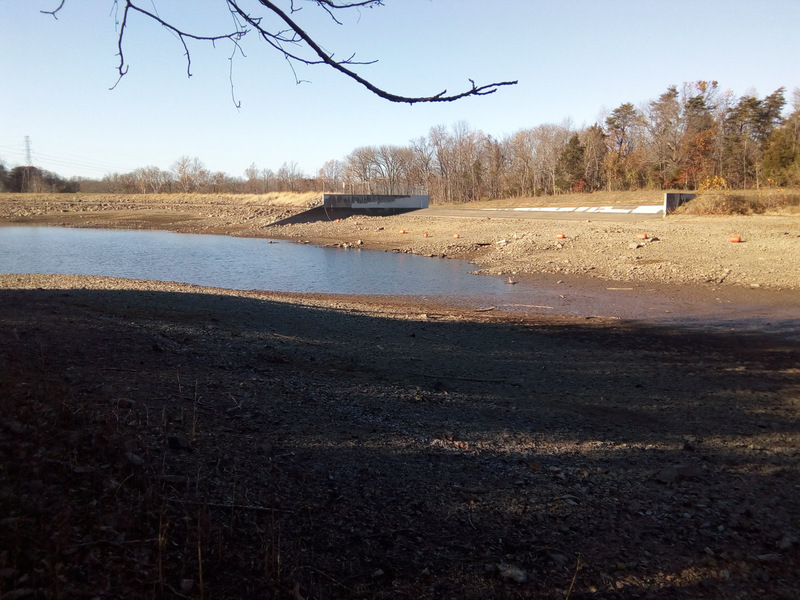 Once the embankment area is complete, we can begin refilling the reservoir. At that point, we will have a more definitive timeframe for safely allowing people back on the water. According to our friends at Loudoun Water, construction is on schedule with a tentative completion date of late 2018. A cofferdam has been constructed (late Spring) and the water level has reached it’s intermediate point until construction is finished. 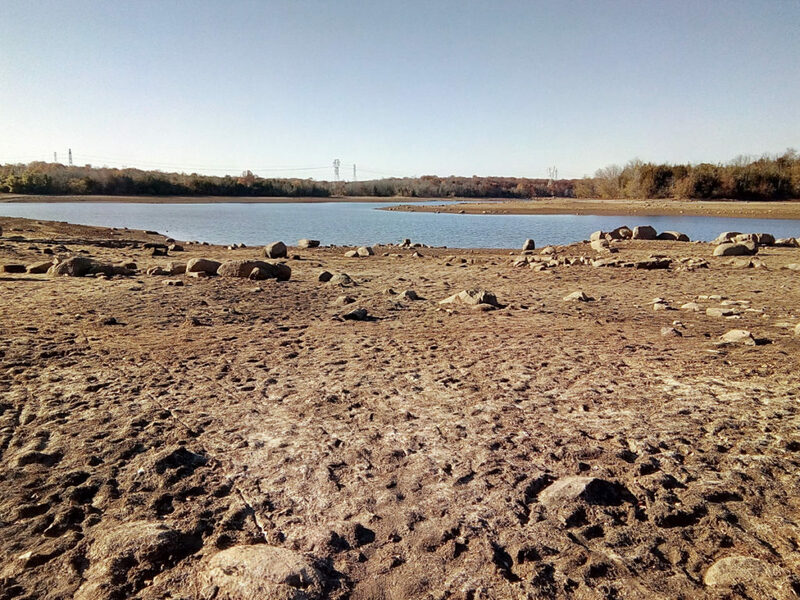 ASHBURN, VA — Two incidents of property damage Tuesday night were reported the next day by employees at the Beaverdam Reservoir construction site, 42000 block of Reservoir Road, according to the Loudoun County Sheriff’s Office. One complaint referred to damaged machines, and the other referred to graffiti spray-painted on equipment. 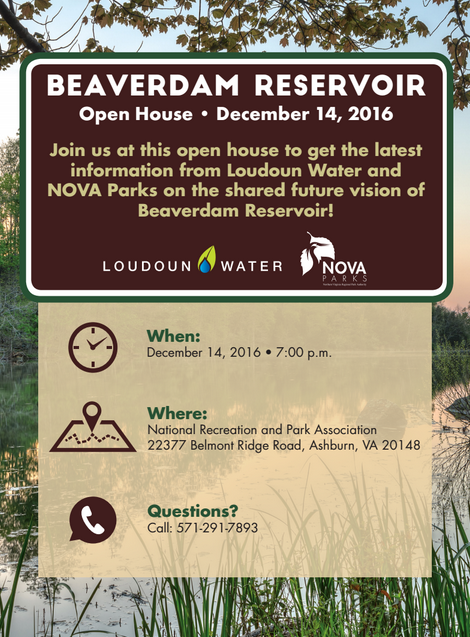 Loudoun Water and Nova Parks held the second Beaverdam Open House Wednesday December 14th. There was a good crowd though not as big as the first session. The purpose of this meeting was to show the plan that was developed based on our input. I have attached an audio recording of the session above. The highlight of phase 1 (of 3 planned) is a large 200 car parking area, eco-learning features, and facilities for the rowing team. 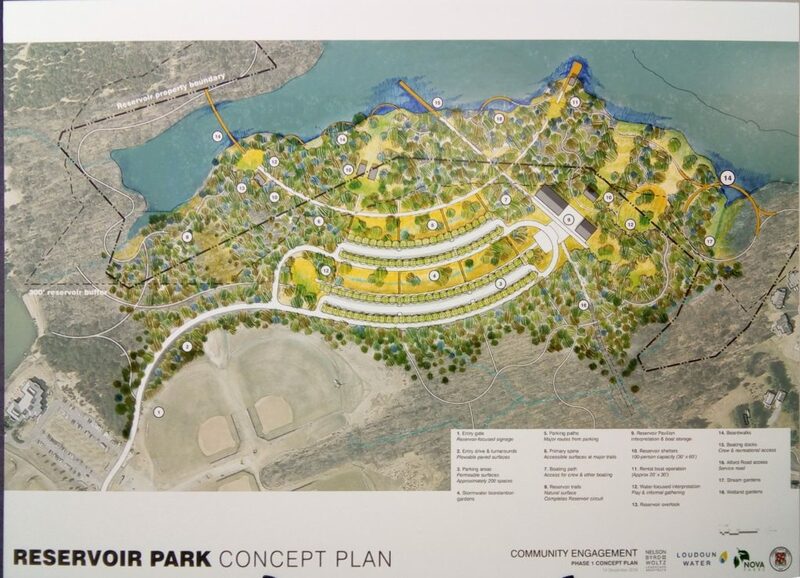 Welcome news is the plan to develop a mixed use trail all the way around the reservoir for a total length of 8 miles. The car top launch sites (Mt. 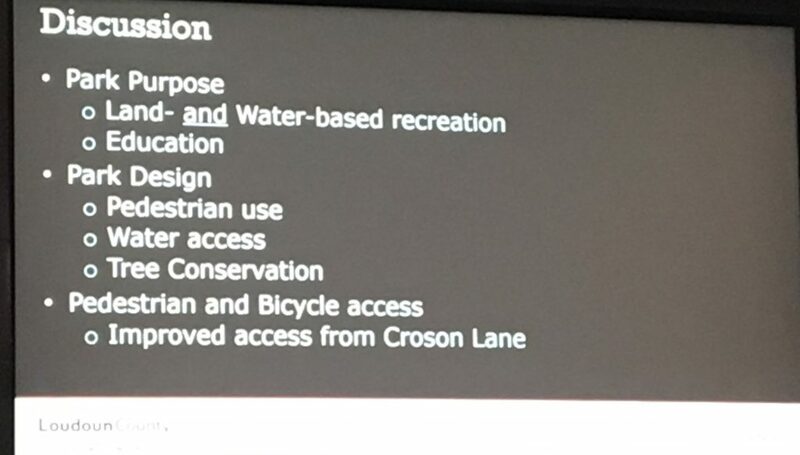 Hope and Reservoir Rd) will remain as they are now with no planned improvements for Phase 1. While the walk from the parking area to water looks pretty far, this will be an option if parking at Mt. Hope is completely filled. 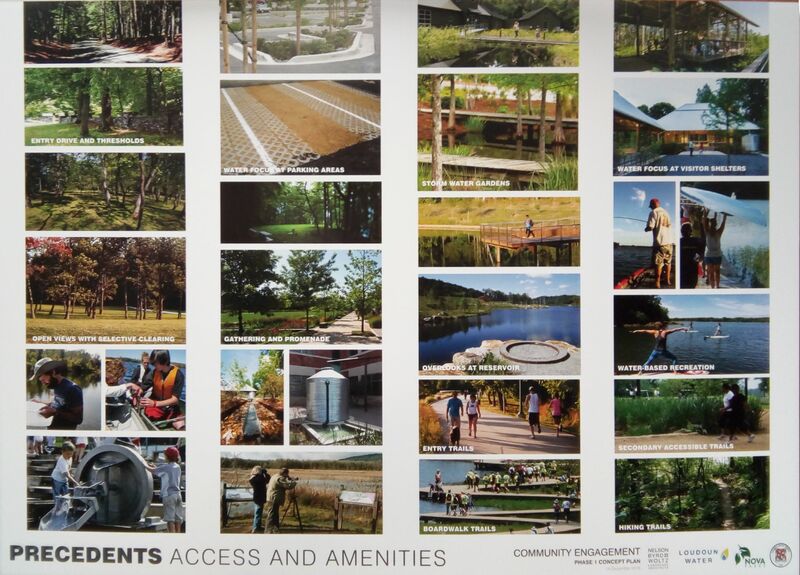 This is a nice step towards making the area a destination beyond simple paddle sports. 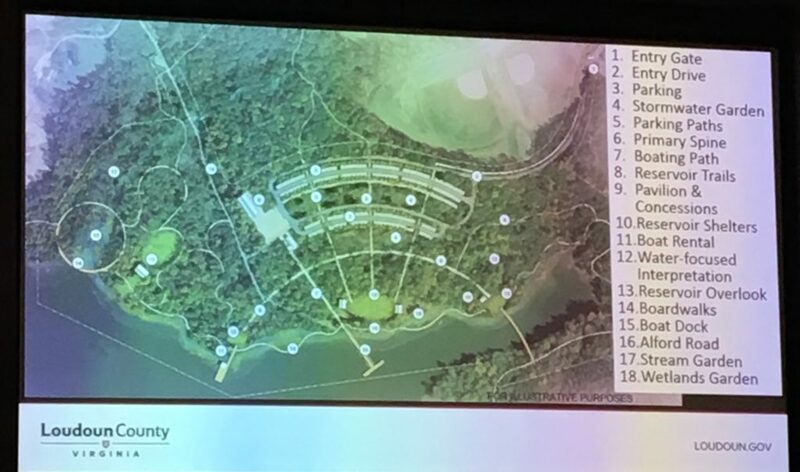 There does seem to be a strong emphasis on rowing in Phase 1, but the takeaway is this is going to be a facility for all to enjoy and part of a larger network of parks and water access in Loudoun. The next open house is December 14, 2016 7:00 p.m. NRPA HQ in Ashburn. Please take some time to show your support for the reseroivr and attend this important session. Water levels continue to drop. 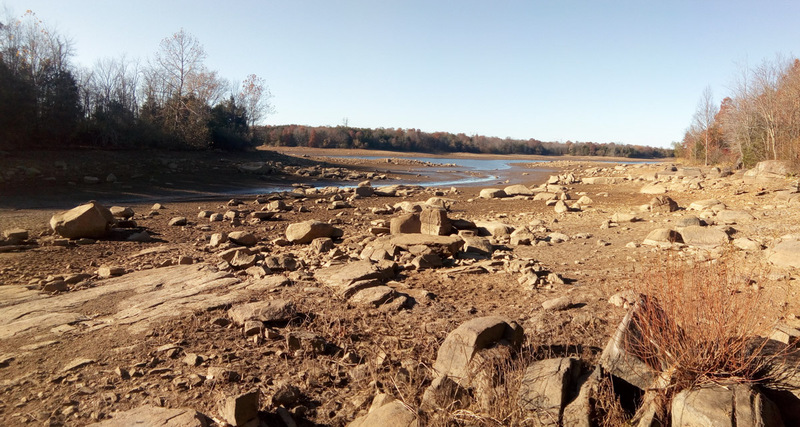 It has been two weeks since the closure of the reservoir and the water levels are dropping quickly. The south end of the reservoir down to a stream. The bridge area is starting to show in the middle as well. Water levels are dropping quickly. You can begin to see the road in the middle of the reservoir. 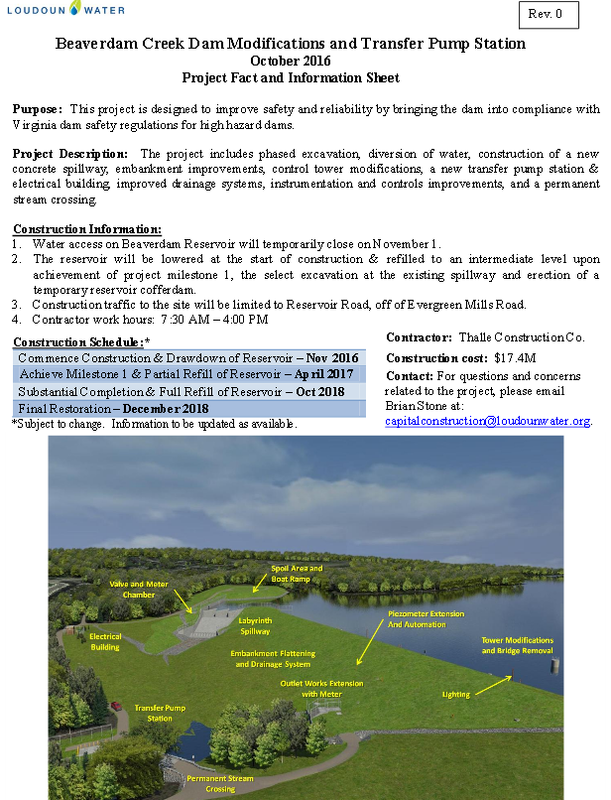 Loudoun Water will begin the Beaverdam Reservoir Renovation project on November 1, 2016. 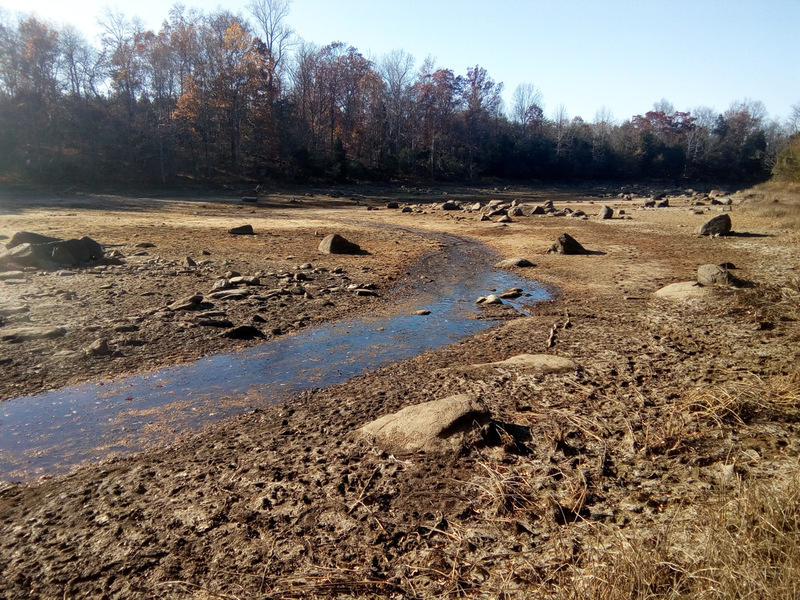 This project is designed to improve safety and reliability by bringing the dam into compliance with Virginia dam safety regulations for high hazard dams. The project includes phased excavation, diversion of water, construction of a new concrete spillway, embankment improvements, control tower modifications, a new transfer pump station and electrical building, improved drainage systems, instrumentation and controls improvements, and a permanent stream crossing. With construction starting, there will be new rules for public access. 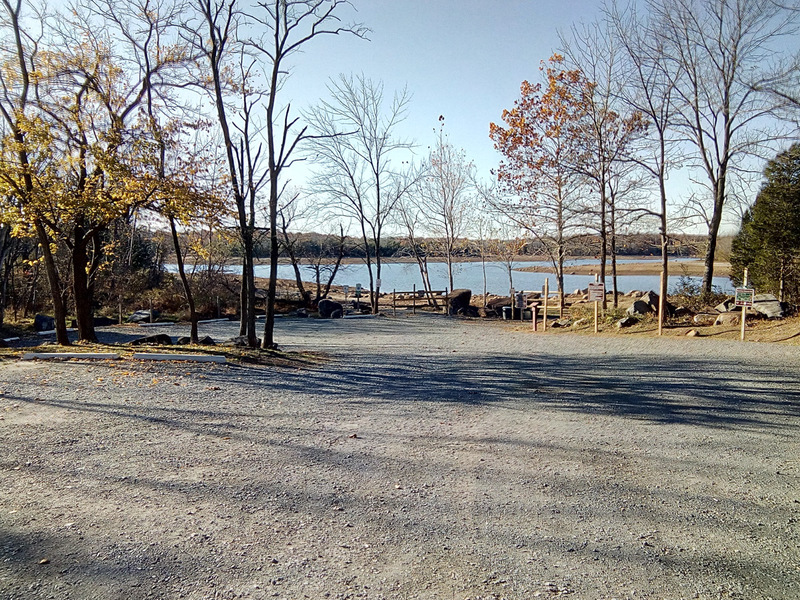 Beginning November 1, 2016, Beaverdam Reservoir’s marked trails will be open for public access from dawn to dusk. During the renovation project, water access will be prohibited. 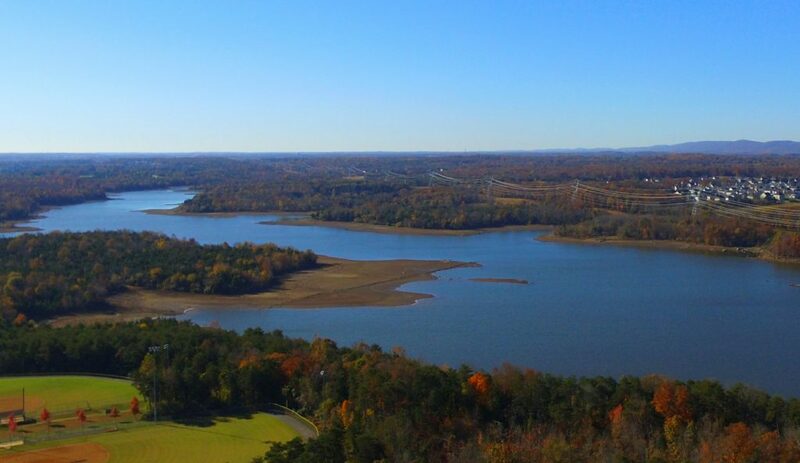 No fishing, boating, paddling or other water activities permitted starting November 1. The park access gate will be closed promptly at dusk. For more information on the renovation project, please visit Loudoun Water’s Current Projects web page. Loudoun Water and NOVA Parks are planning to hold another community input session to share an update on the future vision of Beaverdam Reservoir. Information gathered from last year’s community meeting can be found on www.loudounwater.org. Look for an upcoming notice on the next meeting that will be held before the end of the year!